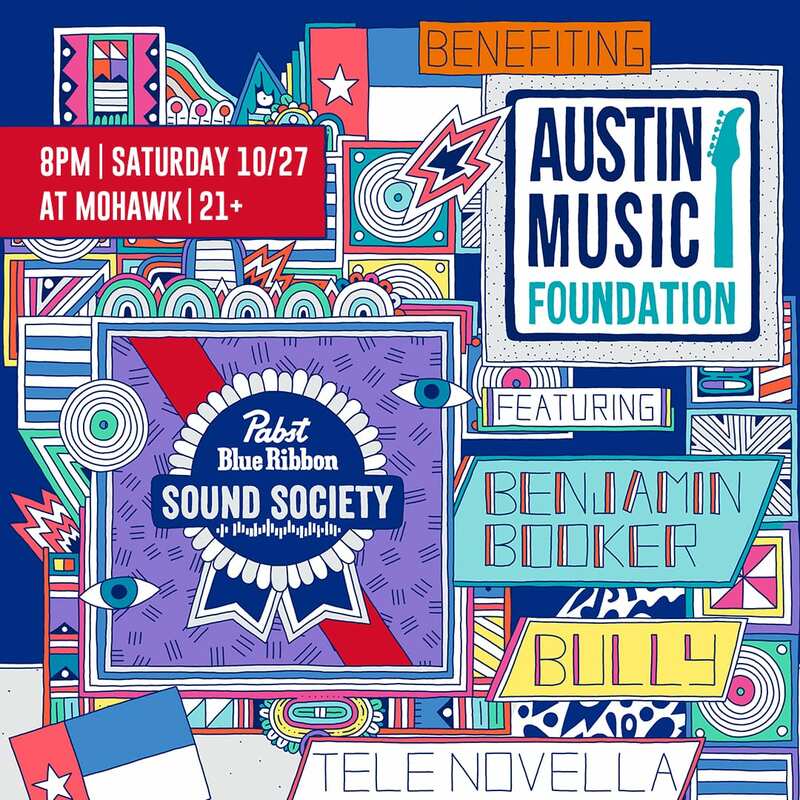 Join us for Pabst Blue Ribbon Sound Society at Mohawk, with performances by Benjamin Booker, Bully and local support Tele Novella on Saturday, October 27th! This event is free with RSVP and they’ll be collecting donations for AMF. PBR will film their Sound Society local musicians and visual artists in each city to find out what makes their city creatively special and why art and music are imperative to community growth. The Austin showcase will feature visual art by Sophie Roach. Emerging music. Pioneering art. New creative communities. This is Pabst Blue Ribbon Sound Society.